It is Monday morning and my students at Santa Rosa Singers/The Music Studio are going to enjoy playing on a brand new Yamaha piano today. None of this would have happened if David had not pulled together his magic and moved this piano in a moments notice. On late Friday evening, I decided to purchase this piano and I needed it moved the very next Morning SAT early. I thought it would never happen. I was actually embarrassed to call movers and ask of such a request as I have moved pianos before and I am well aware of the demanding job I am requesting of them. In my 10 (plus) years of moving pianos I have NEVER been able to find someone to do the job in such short notice. To my complete surprise David did not flinch at my request. In fact he seemed happy to do the job! I was elated! By 10 am the next morning my piano was already in my studio ready to be played and enjoyed. I was able to relax the rest of the weekend and looked forward to sharing it with my students on Monday. I even had plenty of time to play and enjoy it myself before the week started. 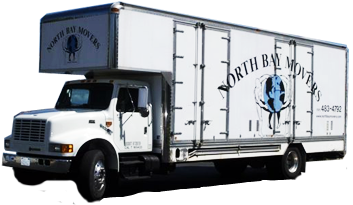 Thank you North Bay Movers and David for moving my piano with such care and impeccable service.